This is our first post in a multipart series on greenscreen video and photography. Check out Adobe Stock if you need backgrounds or other greenscreen elements. This allows for two or more images to be composited together to create a new image. You’ll find the technique used for a wide range of tasks, from special effects and feature films to corporate video and the local weather report. The figure on the left is properly shot greenscreen footage. The screen is evenly lit with no shadows. Once the color key is performed, the foreground footage can be composited over a background image. Footage by Adobe Stock. Background by Mooseproductions. Great looking compositing is more than just filters and postproduction. It all begins with high-quality footage or stills that are properly acquired. The most common techniques involve shooting talent against a blue or green screen. While software tools are fairly forgiving of poorly shot images, the most professional results start with a well-executed acquisition. But before you can execute, you must plan. 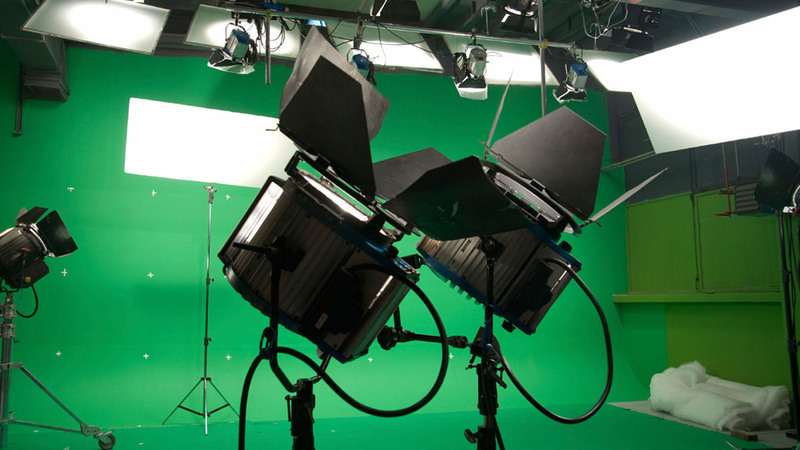 The use of fluorescent lights is common practice for chroma key lighting as they can produce even light without hot spots. Effective keying is reliant upon good lighting. It is essential to minimize variation in colors for the backdrop. This means that you must evenly light the background to avoid hot spots. Additionally, you’ll want well-lit subjects that don’t cast shadows on the backdrop. Sounds a bit challenging? Here are a few tips on doing it right. Spill is bad. It is essential that your backdrop is evenly lit. You’ll also want to place the foreground person or object is far enough away from the backdrop (with their own lighting). If you put the foreground and background too close, you’ll get shadows on the backdrop and color spill onto the foreground. Get rid of hot spots. You’ll want to avoid variation in brightness for the backdrop so you can get a better chroma key. To do this, look for hot spots. Simply turn the exposure of your camera down and look through the viewfinder. Your hotspots will be quite visible. Adjust your lighting by softening it then set your exposure back to a normal level. Light with softboxes or fluorescent lights. The use of these specialty light types will better enable you to get an evenly light backdrop. The goal is to spread an even amount of light across the surface of the backdrop. Match the foreground to background. If possible, you’ll want to know what your keyed footage will be composited with so you can adjust lighting (Figure 05-06). The most believable keys try to match the lighting of the replacement background in the final composite. Make sure that the light is shining from the same direction (and with the same color and intensity) as the light shining on the background plate you plan to use. The chroma key footage was lit to look like an outdoor shot (notice the directional light hitting the top of the subjects head). After keying, the color temperature of the footage was further modified to help match the shot to the background.